How often can you get Laser Tattoo Removal? When you have a tattoo that you wish to get rid of, the natural response is to want it gone as quickly as possible. One of the most frequently asked questions we hear in our clinic is, “How often can you get Laser Tattoo Removal?”, or put another way, “how long do you have to wait between laser tattoo removal sessions?”. The answer is five to eight weeks. It can be longer, depending on how long it takes for your skin to heal. Laser tattoo removal involves the ink being slowly processed by the skin during healing. While the ink is being broken down in the deeper levels of your epidermis, it would not help to interfere with the natural process by introducing further trauma with a laser. It will take around five weeks for the ink to be removed from the skin, and a further week or two for full healing of the skin. Is there anything you can do to speed up the tattoo removal healing process? Yes. There are steps you can take to speed up the healing process, both before and after your treatment. Before your first laser tattoo removal session, it is important to keep the area out of the sunlight, so hold back on sunbed sessions if you can. This should begin at least four weeks before treatment starts. After treatment, you must do all you can to protect the treated area for at least 48 hours. Don’t wear tight clothing over the area, as it could hinder the healing process and cause you pain. Avoid saunas, hot baths, swimming pools and steam rooms, all of which can traumatize the skin, increase the chance of infection and slow the healing process. Remember, you are aiming to keep the area dry and protected for as long as possible. As such, anything that could cause irritation should be avoided, including body lotion, suntan creams, and make-up. Stop any contact sport you play, in case your treated area is knocked. Damage to the skin that is healing can set you back in your treatment plan. If the area feels warm and uncomfortably tender, you can apply a cold compress to it. The easiest way to do this is to wrap a pack of frozen peas in a towel and apply carefully. 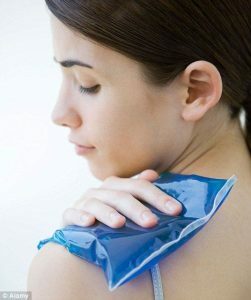 Don’t apply ice or a chill pack directly onto the skin, as it will burn. Use a towel or flannel to protect against this. Cooling the skin will reduce inflammation and give you some relief. After 48 hours, you will begin to see the skin calm down and begin to heal after the trauma of the treatment. The inflammation should ease off, and gradually you can resume your normal activities, whilst remaining mindful of the area and being careful to protect it. Clients tend to be very diligent in looking after the treatment area, and don’t find it to be a problem at all. If you take care during this crucial healing period, your skin will be in great shape for your follow-up treatments, and before long you will have the results you desire. Is there a maximum amount of ink you can laser in one sitting? Yes. Larger, darker tattoos that are deeply inked absorb more heat from the laser, so as a safety precaution, smaller areas are treated to reduce the risk of blistering. Lighter tattoos tend not to be as deeply inked and therefore larger areas can be treated. 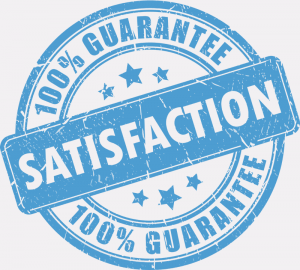 We will always talk you through and advise you on the best course of action to remove your tattoo safely and as quickly as possible. Laser tattoo removal is a process, not an event, so you prepare yourself to be patient. Remember, a tattoo is essentially permanent ink that has been injected fairly deeply into your skin, and is designed to last a lifetime. The process of reversing a tattoo needs to be undertaken with great care in order to achieve the results you want and not to damage the skin. This reversal process takes time, but it’s well worth the wait when you’re ink free!